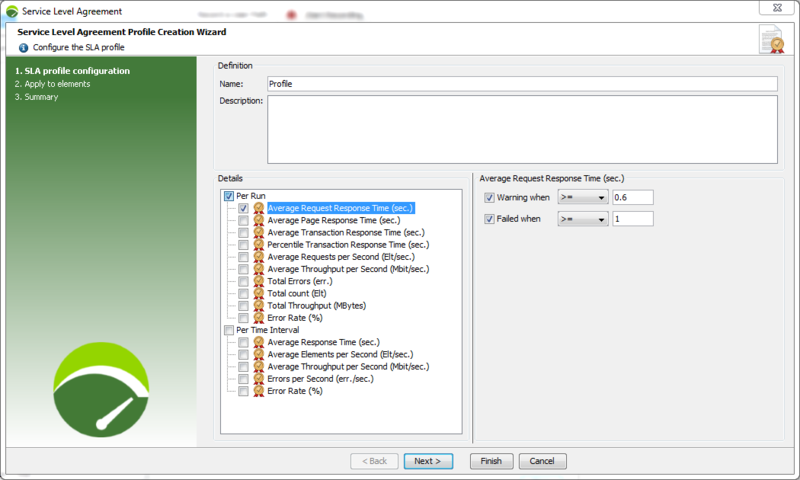 Click + (plus) to open the Service Level Agreement Profile Creation Wizard. Enter a name and description for the profile. The name must be unique. Select the SLAs by ticking the appropriate boxes. Define the thresholds for each of the selected SLAs. 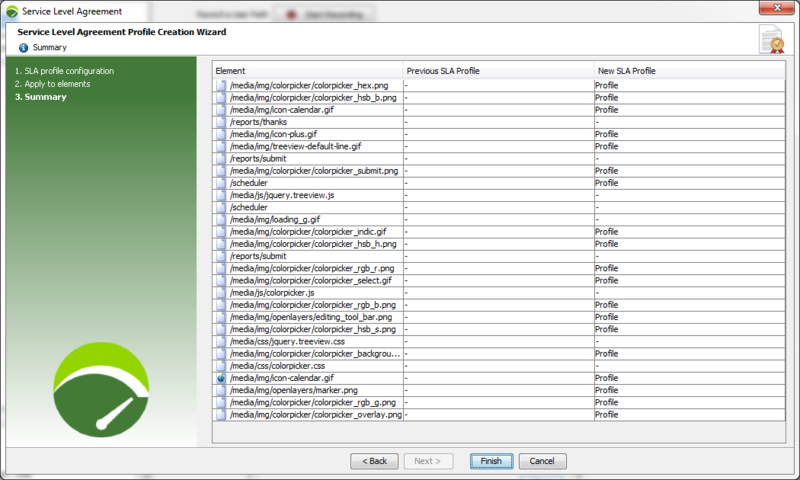 Apply the SLA profile to one or more elements by selecting them and clicking the Apply SLA profile button. 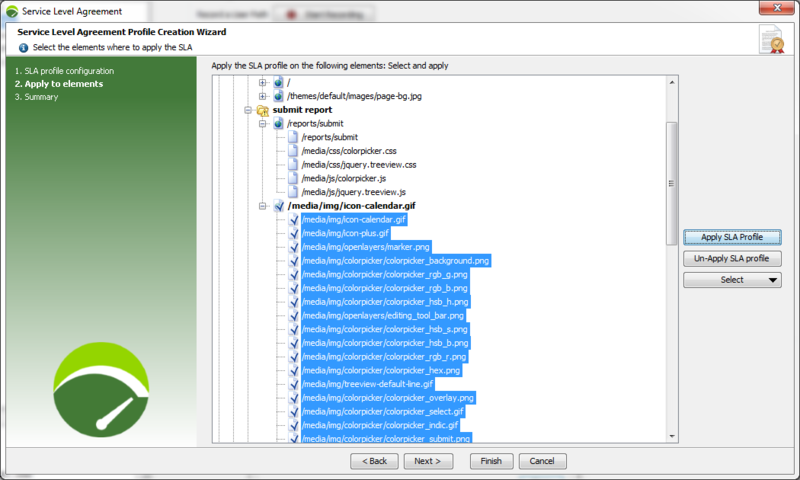 After selecting a parent element in the tree, you can select the element types with the Select list button, and apply the SLA profile to them with the Apply SLA Profile button. A summary of the links between configuration elements and SLA profiles is displayed. Click the Close button in the SLA Profile Manager to confirm the new profile.